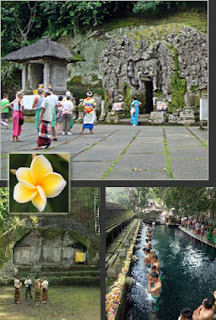 Holy Journey Tours Package, enjoy the sensation of Bali by visiting ancient tourist attractions. Gives a spiritual nuance and is right to be used for a place of reflection and holy baths. and can give a different sensation to our daily activities. Goa Gajah, Elephant Cave in Ubud, Bali has a very interesting beauty to visit. It's a pity if you are in the city of Gianyar. Gunung Kawi, The Sculptural Beauty of The Stone Walls, beauty of the stone walls Temple Tourism. Ubud Art Market, The location front of the Ubud Palace of the King of Ubud. Holy Journey Tours Package, an Ancient Balinese and Javanese tradition to purify the minds and souls through holy water.